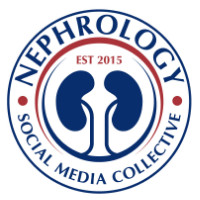 Kidney TREKS (Tutored Research and Education for Kidney Scholars) was established by the American Society of Nephrology (ASN) in 2013. In its second year, the program fosters interest in nephrology careers and biomedical research through a week-long research course retreat and long-term mentorship program. This year, 25 medical students and 5 graduate students will attend an “Origins of Renal Physiology” course for students at the renowned Mount Desert Island Biologics Laboratory (MDIBL) in Bar Harbor, ME. The course enhances first-year medical students' understanding of basic physiological concepts through hands-on experiments in a research laboratory. Organized around several modules that examine all aspects of kidney function, such as water homeostasis, salt homeostasis and secretion, acid/base homeostasis, glomerular function, and personalized medicine and genetics, the course offers opportunities for practicing classical experiments using model systems (toad, zebrafish, roundworm, shark, Xenopus oocyte) combined with modern molecular techniques. After the course, ASN matches each student with a nephrologist-mentor who will interact with them over the course of medical school training, graduate school or postdoctoral fellowship. Hope programs like these will enhance interest in nephrology among our medical students. For more information about Kidney TREKS program, please visit the ASN website.